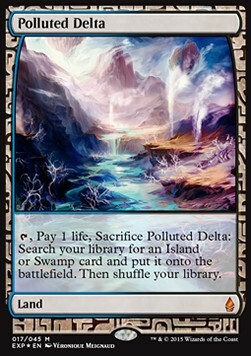 [Tap], Pay 1 life, Sacrifice Polluted Delta: Search your library for an Island or Swamp card and put it onto the battlefield. Then shuffle your library. Daily Shipping.Ask free for scans.